Resident Information: Do I Need a Permit? Welcome to the resident information page. This page is intended to provide residents with helpful information regarding town ordinances and permitting for typical residential projects and special events. The information presented on this page is not intended to be a full explanation of all policies, but rather a guide to assist residents with questions they may have before starting a new project. Please contact the Department of Planning and Zoning with any questions you may have and to confirm that your project is in conformance with all ordinances. Always check with your subdivision's Home Owner Association (HOA) for additional regulations and/or approvals. Putting out signs? Contact the Code Enforcement Department for information about when and where you can place the signs. Setbacks vary by zoning district, contact the Department of Planning & Zoning for additional information. For sheds & accessory structure that will have electricity, please contact the Code Enforcement Department at (919) 557-3915 . Permit Required. For additional information about obtaining permits, please contact the Code Enforcement Department. Setbacks vary by zoning district, contact the Department of Planning & Zoning for additional information. The Department of Planning & Zoning would like to make the permitting process as easy as possible. In order to process your permit, you will need to submit a permit application, plot plan, and permit fee. Please visit the Petitions, Review Schedules, and Fee Sheets page for the most current information. A plot plan is required for all permits. A plot plan is a detailed sketch, survey, or other drawing of your property which must clearly show the property lines, any existing structures, and the proposed project. Please clearly indicate the setbacks of your project (the distance your proposed project will be located from all property lines) on the plot plan. Please contact the Department of Planning & Zoning to obtain setback information for your property. If you live in a home with a street tree, congratulations! You are a vital link to the future beauty and health of your neighborhood. With regular attention, your tree will grow and produce more shade. Watering and pruning help keep the tree and other landscaping healthy. Click here for more information. Be a part of it! The Town of Holly Springs Department of Planning & Zoning works with two citizen committees, Board of Adjustment and Planning Board, to assist them in making decisions on proposed development throughout the Town. As a resident of Holly Springs or the Town’s Extraterritorial Jurisdiction (ETJ), you have an opportunity to become a member on these Boards. The Town Clerks office will accept Applications for the 2019 - 2022 term from October 1, 2018 through December 3, 2018. For information on the Boards and an application, visit Boards & Committees. Click here for information about placing political signs in Holly Springs. 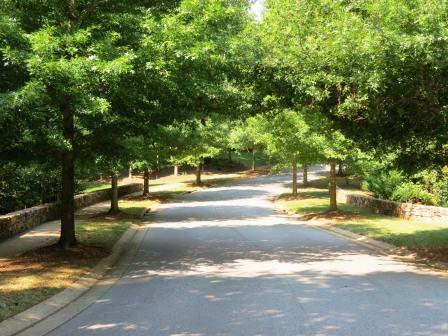 Wake County provides a wide range of property information through the IMAPS website. Information such as property owner information, tax records, aerial views, demographics, planning jurisdictions, voting precincts, environmental data and much more are accessible through this web based mapping system. Please be advised that this information is updated and maintained by Wake County. The Town of Holly Springs does not guarantee the accuracy of the information provided. Click Here to access IMAPS. Many properties contain different easements such as power line easements, storm drainage easements, and utility easements. There are limits as to what is allowed to be placed in these easement areas. If you would like more information regarding the easements on your property, please contact the Department of Engineering at (919) 557-3939. Planning something else? Click here to view links to other permits.